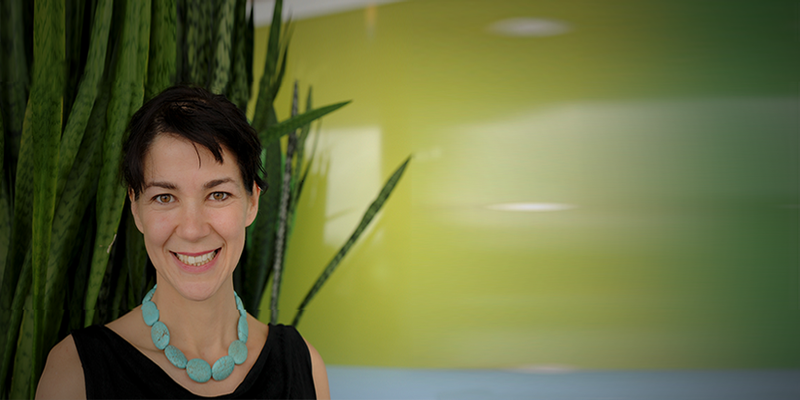 Betsy Lindsey has been working with startups since 2000, in essence, she has been “accelerating” startups before that word was even associated with startups, and she has over 18 years of international business management and investment experience. Now, she works as a Managing Director of Investor Relations at HighTechXL where she helps companies understand what it means to raise money, network and make it work. 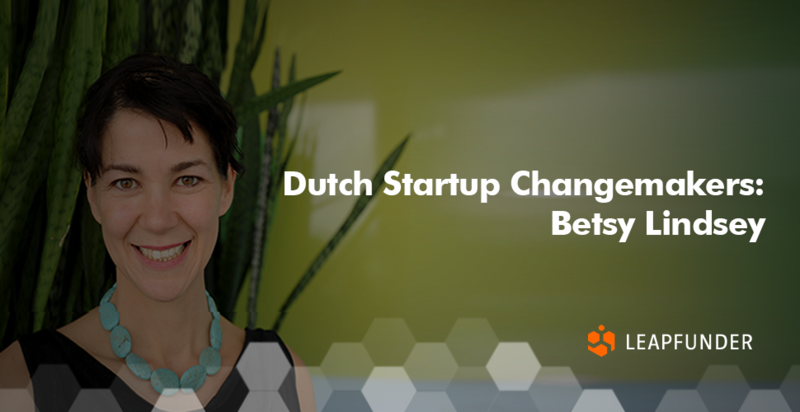 Find out more about her role in the Dutch startup scene, what is it about startups that particularly attracts her and what she predicts for the Dutch startup ecosystem in the near future. 1. Hi Betsy, thank you for agreeing to do the interview. Could you tell us a bit about your background and your role in the Dutch startup scene? I am from Seattle, Washington in the United States. And, I started working with startups prior to 2000. Initially, I worked for the Silicon Valley Bank in the Seattle market, mostly with the Life Sciences Medical Device team. I was basically doing accelerator work before the word “accelerator” was even used. So helping companies, getting them networked and connected is a passion of mine! I really like to help people where I can, I believe in business karma. I suppose I have been around long enough to know what comes around goes around. After working Silicon Valley Bank for seven years, I got back into traditional banking. In 2007, we moved to Hong Kong, where I worked for a very large US bank, Well Fargo. In the midst of the financial crisis, I worked on the merger team responsible for the Wachovia Bank acquisition, as well as improving processes for importing and exporting out of the Chinese market. Eventually, I realized I would like to get back to working with startups. After moving to the Netherlands, in 2013, I started working at HighTechXL as an Acceleration Manager and found that I needed to use my global network in the United States as well as in London to help our companies. 2. HighTechXL supports hardware startup founders all the way from idea to prototype to scale-up by connecting them to a top-tier community of entrepreneurs, corporates, and investors. Tell us about your role. My principle job at HighTechXL is to help companies network, understand what it means to raise money and to make it work for them. We work with companies throughout the range, so it’s always a challenge, and that’s exactly what I like! We are not only working with companies with a working prototype and two smart engineers; we also work with later staged companies and help them plug into large corporates. So we have almost two businesses going and I find that really fun and challenging! 3. You mentioned you started working with startups prior to 2000. What is it about the startup world that particularly attracts you? I really like startups because I honestly feel that many of them are trying to change the world they live in. What matters to me most is simplicity and sustainability. I want to help people solve problems in the world. For instance, we work with a company called Sustonable, and they’re basically taking plastic, recycled materials and turning them into a surface you could use on tables or to side a building. You can imagine that plastic gets pretty disgusting because it’s mixed with all these other chemicals and they actually use that to make a really amazing product. Solutions like that are what gets me out of bed in the morning! It might be that I’m attracted to the startup world because I have a lot of energy. I’m 47, yet people constantly ask me: “Where do you get all your energy from?”. Even when the teams are in the low point during the accelerator program I really feel I have something to give them because I’m constantly looking for ways to solve problems. We also work with corporates, and that’s interesting as well because it’s another challenge that you can add your energy to. 4. You support sustainable technologies and want to help people solve problems in the world. What is the thing you’re most proud of in shaping the Dutch startup ecosystem? In July we had something called “The Impact Summit”, where we brought 70 startups from around the world to Eindhoven. 40 of those were in hardware and MedTech. Even though my passion lies in hardware, due to my background, I have worked with ABN AMRO and EY to help them with their own intrapreneurship, as well as find FinTech startups to help them innovate their core business. I used my experience with the SIlicon Valley Bank to guide ABN AMRO employees through the process of proposing a venture debt fund to their Board. They haven’t finished the approvals within the bank, quite yet, but it’s very probable they will have a large fund where they can make venture debt loans to companies who have venture financing. That’s a really important part of developing a mature technology ecosystem because it helps companies reach their milestones. It gives them the extra cushion they need to get to the next round of financing. 5. What do you predict for the Dutch start-up ecosystem in the near future? What are your plans, what will you focus on? The Dutch startup ecosystem is great because of the level of technology (especially hardware), entrepreneurial thinking, as well as, the native English skills. I think the market in the Netherlands moves fast, and I predict continued growth in technology, whether it’s software, FinTech or hardware. Principally, I work for the accelerator, doing investment relations. I help teams learn about how to approach investors, but at the same time, I’m also working with the 49 alumni most of which are still alive, or to be more precise over 66% of our teams since 2013 are still alive. To the trained ear, that better than average – startup life is hard. What I see ahead in the next couple of months is a lot of networking. For the third year in a row, in January 2018, we plan to take later staged teams to a consumer electronic show in Las Vegas and we’re planning another road trip to Silicon Valley. HighTechXL supports their teams by having a worldwide reach, too. We opened offices in Shanghai and in Cambridge, Massachusetts this summer. We intend to establish a base there so that we can create a landing pad for our companies who need to internationalize. Thank you for your insights, Betsy. We wish you the best of luck helping people solve problems in the world!